​One of the first statues you'll see upon entering the park depicts a United States soldier in full battle dress. This uniform was stunning and is still used as the model for West Point Cadets at the West Point Military Academy. On the memorial you will see a synopsis of the conflict, why it happened and the dates of the conflicts. The border of Texas as an independent state was originally never settled. The Republic of Texas claimed land up to the Rio Grande based on the Treaties of Velasco, but Mexico refused to accept these as valid, claiming the border as the Nueces River. Santa Anna signed both a public treaty and a secret treaty, but neither treaty was ratified by the Mexican government because he had signed the documents under coercion as a prisoner. Mexico claimed Texas was a breakaway province, but was too weak to attempt another invasion. Mexico threatened war with the United States if it annexed Texas. Meanwhile, President Polk's spirit of Manifest Destiny was focusing United States interest on westward expansion. Polk wanted to protect the border and also coveted the continent clear to the Pacific Ocean. On November 10, 1845, Polk sent John Slidell, a secret representative, to Mexico City with an offer of $25 million ($681,442,308 today) for the Rio Grande border in Texas and Mexico's provinces of Alta California and Santa Fe de Nuevo México. U.S. expansionists wanted California to thwart British ambitions in the area and to gain a port on the Pacific Ocean. Polk authorized Slidell to forgive the $3 million ($82 million today) owed to U.S. citizens for damages caused by the Mexican War of Independence and pay another $25 to $30 million ($681 million to $818 million today) in exchange for the two territories. In July 1845, Polk sent General Zachary Taylor to Texas, and by October 3,500 Americans were on the Nueces River, ready to take over by force the disputed land. In early 1846, relations between the two countries had deteriorated considerably and on April 23, 1846, the president of Mexico issued a proclamation, declaring Mexico's intent to fight a "defensive war" against the encroachment of the United States. On April 25, 1846, 2,000 Mexican cavalry crossed into the disputed territory and routed a small detachment of American soldiers sparking the "Thornton Affair" Polk received word of the Thornton Affair, which, added to the Mexican government's rejection of Slidell. Polk believed, this constituted a cause for war). 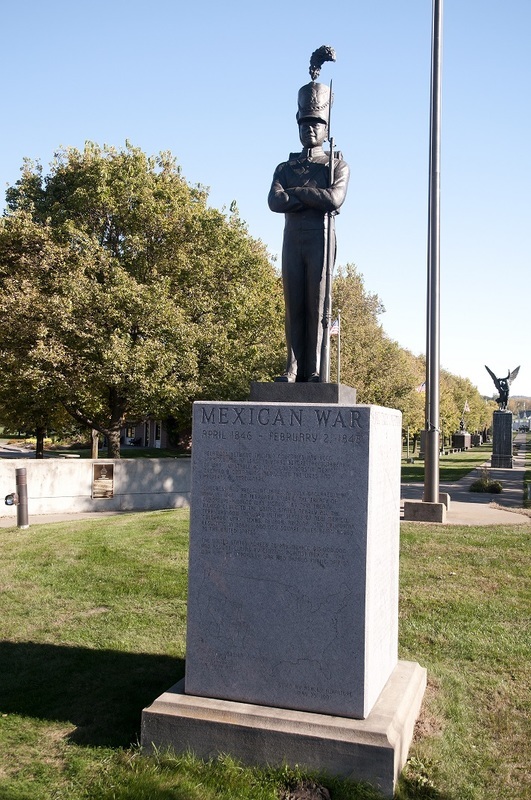 His message to Congress on May 11, 1846, stated that "Mexico has passed the boundary of the United States, has invaded our territory and shed American blood upon American soil." Congress approved the declaration of war on May 13, with southern Democrats in strong support. Outnumbered militarily and with many of its large cities occupied, Mexico could not defend itself; the country was also faced with many internal divisions, including the War of Yucatán. The Treaty of Guadalupe Hidalgo, signed on February 2, 1848, ended the war. The treaty gave the U.S. undisputed control of Texas, established the U.S.-Mexican border of the Rio Grande, and ceded to the United States the present-day states of California, Nevada, Utah, New Mexico, most of Arizona and Colorado, and parts of Texas, Oklahoma, Kansas, and Wyoming. In return, Mexico received $15,000,000 ($497,452,885 today) – less than half the amount the U.S. had attempted to offer Mexico for the land before the opening of hostilities – and the U.S. agreed to assume $3.25 million ($88,587,500 today) in debts that the Mexican government owed to U.S. citizens.